The ride on the paved road uphill the length of Val di Sacco is the most challenging part of this round route, but you are rewarded for this long ascent with the marvellous, pristine and well-maintained mountain landscapes made of unspoilt maggenghi, beautiful mountain huts and cultivated pastures as required by the tradition of these valleys. On the right northern hillside the wide and steep meadows slope down from Sasso Campana and Sasso Farinaccio, while the opposite southern side is covered by thick woods. The final sprint heads straight for Alpe Malghera, which is lain on a wide stretch of flat ground together with many typical mountain huts and its imposing Sanctuary. The following route on the Sentiero Italia stretches into the woods at height and allows us to reach the alms of Pedruna, Guinzana and Piana before getting to Supiani, where the view runs from Monte Storile on the right to the whole Val Grosina, up to eita and the stones of Sasso Maurigno. The paved road climbing up the valley from Fusino (1200 m) to Malghera (1962 m) is signed with number 258. 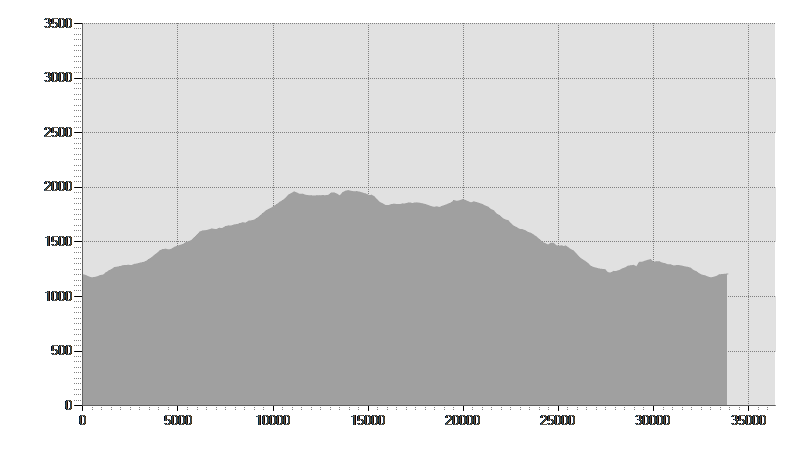 The ride is quite easy up to Campo Pedruna (1706 m), and then it gets steeper on the last stretch. After visiting the Sancuary, head down to the little bridge and take the Way n. 201 of Sentiero Italia on the right, which runs through the wood and gets to Grasso Pedruna (1937 m). A new forest track starts from here, up above the last mountain huts, and takes us to Alpe Guinzana (1930 m). The following dirt road (sign Way n. 201) leads to Alpe Piana(1880 m) and proceeds to Carette (1758 m). We find a diversion of Sentiero Italia to the right just before this last place, which continues up to Alpe Schiazzera and then to Tirano. We instead go straight on (sign Way n. 243) and head down to Supiani (1213 m). We leave the paved road to Grosotto, go past the little church and turn into the dirt road to northwest that soon becomes a trail and leads us to Pier in Val Di Sacco again (1325 m), whence we quickly return to Fusino.